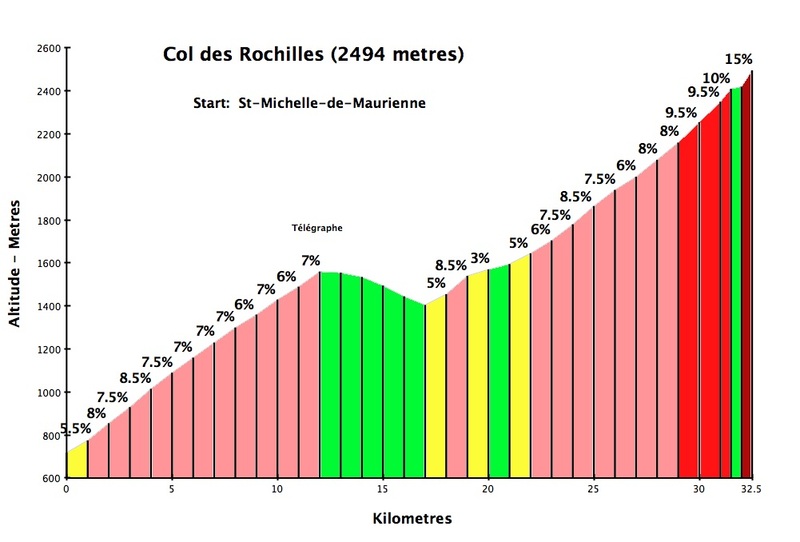 Video: Col des Rochilles via Col du Télégraphe. 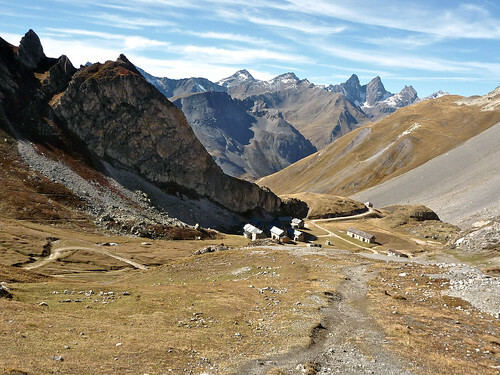 You are at:Home»Favorites»Video: Col des Rochilles via Col du Télégraphe. 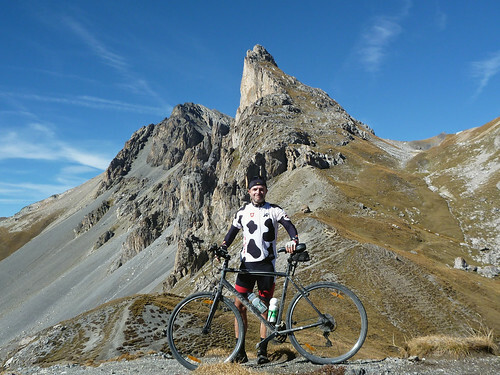 I have climbed the classic north side of Col du Galibier 6 or 7 times. Every time at Plan Lachat (26 kms up; about 1960 metres), I have eyed an old, gravel military road full of hairpins that climbs up into another valley to the left. I always promise myself to cycle it one day. Well I finally kept my promise. Enjoying perfect weather, after a couple of hours climbing, I turned off onto this bumpy, gravelly, difficult but not crazy steep road. Amazing. 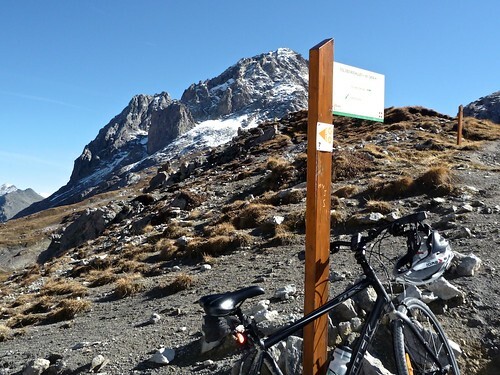 At the top is an old French military barracks, and higher a few little glacier lakes …. all surrounded by high mountains. 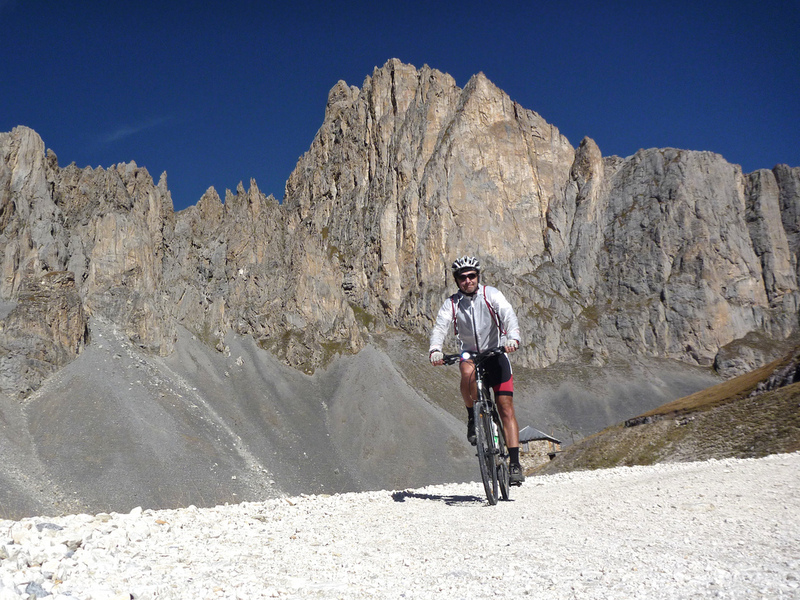 Highly recommended – but bring a VTT (MtB). 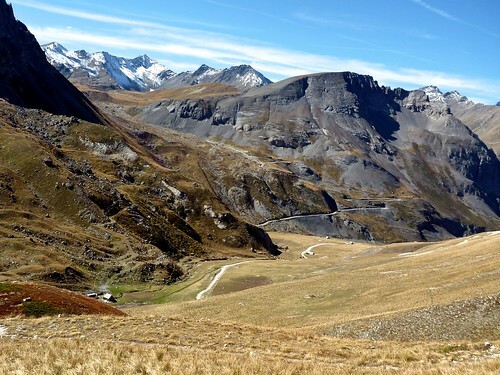 I had seen these super-high hairpins in the distance so many times while cycling Galibier. What a pleasure to finally explore. Next time I need to make a loop by going over the top. Looks like a cracking ride. a cracking ride, indeed ! Superbe Will ! 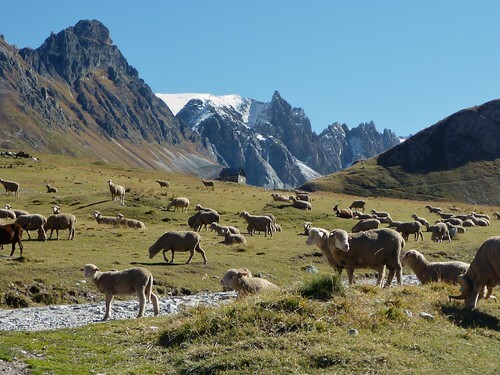 Paysages et temps parfaits ! Finalement tu n’as pas testé le col d’Albanne ? Oui, vous avez raison, tous les deux. 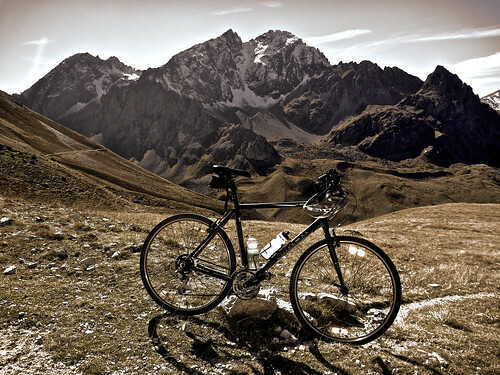 il y a d’autres cols là aussi. Mais, avec Telegraphe, j’étais fatigué ;). Nous devrions y retourner en 2011. Thanks for sharing all of the spectacular scenery with us flat landers in the USA. The 2008 Tour d’Enfer Lost Boys crew (Larry, Michelle, Arthur, Tim and myself) were discussing your videos on a ride the other week & how much we enjoy them! 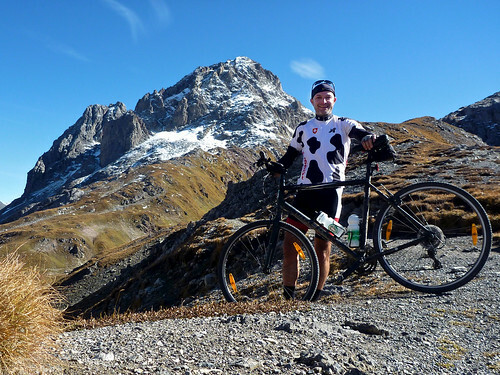 Trust me, in this region, it’s still hard to top the day you and I watched the TdF at the top of Galibier.